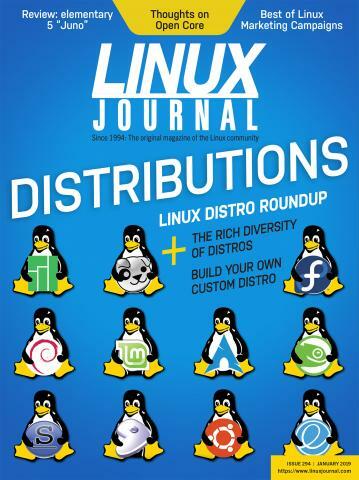 We're wiping all advertising off the Linux Journal site and starting with a clean slate. This is a bit complicated because we're also upgrading the site from Drupal 6 to 8, which is a bit like rebuilding an occupied house. So bear with us through that. Second, if we ever go back to running ads, they won't be of the spying kind generally called "adtech." I have been an enemy of adtech from its start, and for years have led in the movement to kill it. I've done that through my work with ProjectVRM and its spinoff Customer Commons (both at Harvard's Berkman Klein Center), and here at Linux Journal (examples here, here, here, here and here). "Adtech is a cancer on advertisers, publishers, and everybody it tracks. We already have one form of chemo in ad blocking. According to PageFair’s 2017 Adblock Report, at least 11% of the world’s population is now blocking ads on at least 615 million devices. According to GlobalWebIndex, 37% of all mobile users, worldwide, were blocking ads by January of 2016, and another 42% would like to. With more than 4.77 billion mobile phone users in the world by 2017, that means more than 1.7 billion people are blocking ads already: a sum exceeding the population of the Western Hemisphere. Speaking personally, the one form of advertising I might be willing to bring back is sponsorship. That's where advertisers support Linux Journal because they like what we do and want to reach our readers in general. I wrote about the difference between that and adtech in Separating Advertising's Wheat and Chaff. You can also see that difference in every print publication that carries ads. At their best, ads in a pub like Linux Journal provide useful information as well as financial support. There is symbiosis there. I should also add that as a writer for Linux Journal I never paid any attention to who advertised in the magazine or why. That too was a kind of symbiosis. One of our first jobs, once we get our Drupal act together, is figuring out a way to do comments without Disqus, which is the main source of tracking files on our site. We went with Disqus because we had far too much comment spam, but it turned out to be something of a Faustian bargain (the devil being adtech). But until we find a non-icky commenting approach, Disqus will have to do. All I ask, before we start, is that you at least take a quick glance through what I've posted in my People vs. Adtech series. Much of it addresses options publishers have in a world where readers are fully in charge—which they will be. We can also help in a big way, because one of our primary intentions, as we move forward with Linux Journal 2.x, is to explore and pioneer new business models for publishing and journalism in the networked world. We've only had commercial activity in that world since 1995. So it's still early, and the sky is open to the stars. There are lots of ways we can go.